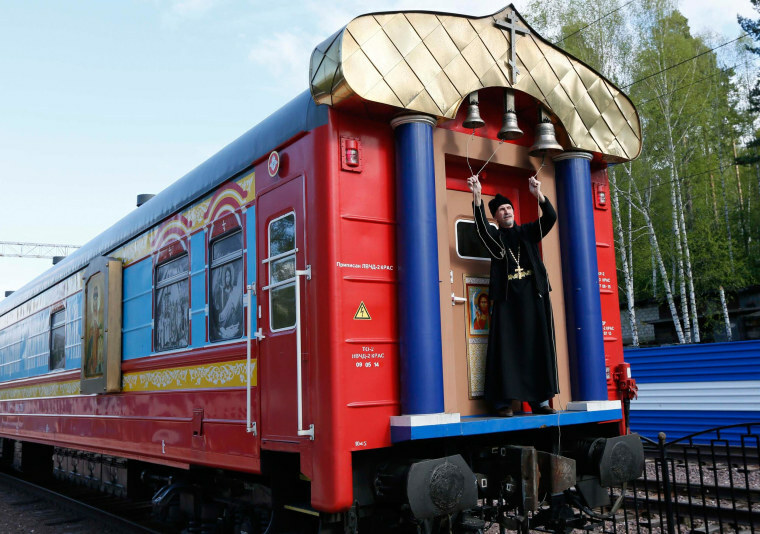 An Orthodox priest rings a set of bells after baptizing a baby on board a train carriage that operates as a mobile church, bringing religion to remote parts of Russia. The Doctor Voino-Yasenetsky Saint Luka train travels annually to distant settlements in the Krasnoyarsk and Khakassia regions of Siberia. Alongside the mobile church, the train also transports medical personnel and equipment, offering free consultations to about 200 patients a day in places where hospitals and clinics are scarce.